Racing For Pinks can be seen on multiple streaming VR platforms, such as Samsung VR. It can also be downloaded and viewed via an Oculus Rift here. 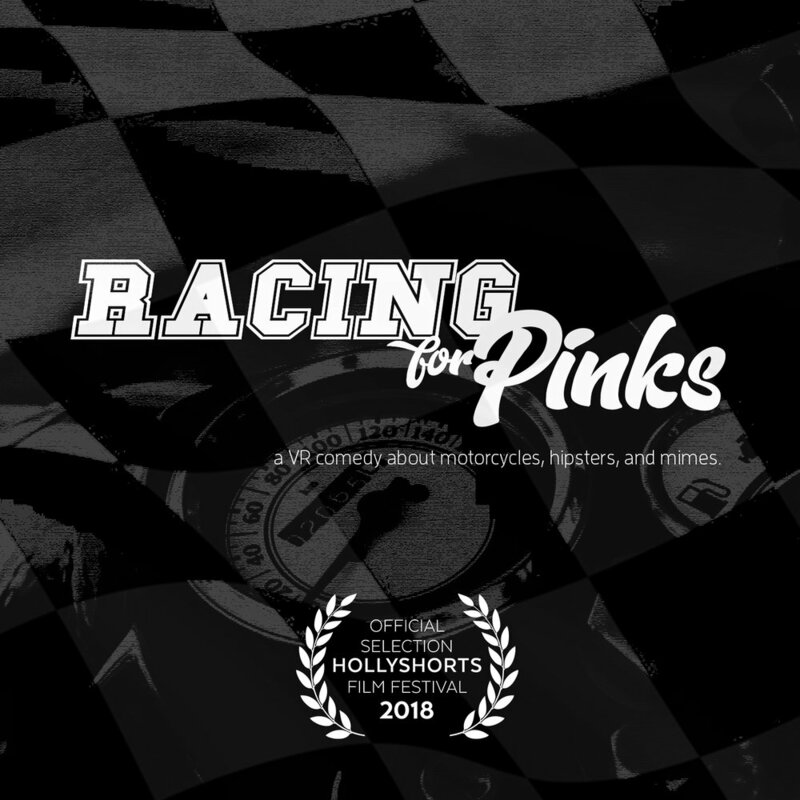 Our most recent VR short RACING FOR PINKS is out now and available on multiple streaming services. It was also an official Selection at HOLLYSHORTS FILM FESTIVAL 2018. Our first Live Action Narrative short in 3D 360 VR is out Now! Contact us if you'd like to view it in a different format.